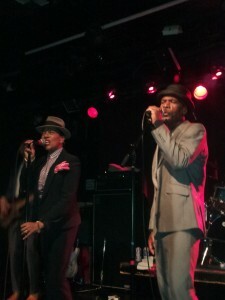 I was first introduced to The Selecter in a sort of happenstance way. The closest record store to me was The Exile on Main Street in Hamden, CT. They had a good selection of used CDs and in particular an unorganized box labeled “$5 Ska.” I used to pop in every now and again and dig through that box. 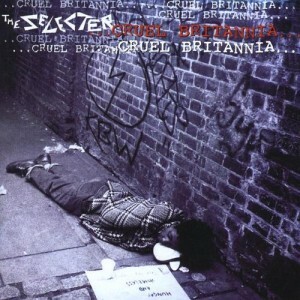 I stumbled across The Selecter’s 1999 record Cruel Britannia. I knew the band’s name and I knew they were often cited as by other bands as an influence. I bought it on the spot and was hooked after one listen. It was from there I found my way to their more well-known releases such as 1980’s Too Much Pressure. Of all bands of the Two-Tone era, The Selecter grabbed me first. Much of it was thanks to singer Pauline Black’s distinctive voice (you’ll have to excuse me if I didn’t fall in love with Terry Hall’s voice the first time I heard it). The place filled in a bit more and The Selecter hit the stage just after 10. Pauline was dressed in her signature dark suit and hat. The rest of the band sported shiny grey slim suits with the skinniest damn ties I’d ever seen (save for the two sax players which wore darker suits). Everyone just popped on stage. What happened next was a never ending exchange of energy between the band and the audience, members of the audience and each other, and band mates with each other. Particularly, Pauline and Gaps had this unbelievable chemistry between them. They were performing for each other just as much as they were performing for the audience, and it only made for a more engaging show. My girlfriend commented that Pauline had theatrical qualities about her. She was expressive and animated from start to finish and it only made you want to dance more. Her voice and range seem to have no limits, seamlessly jumping between the highs and the lows. It became very apparent why many people credit her as an influence. The audience never quite grew to the venue’s capacity (Pauline even asked “next time, bring a friend!” in a sarcastic way only she could get away with). But the crowd in attendance was small and mighty. Gaps chatted about “stamina” throughout the performance and dammit Boston had it. Gaps deserves praise for setting the performance bar as high as I’ve ever seen it. He sang, he chatted, he danced, and sweated through every layer of clothing. I’ve said to every member of every band I’ve ever been in, but The Selecter really exemplified it: Party on stage equals party off stage. If a suited up bari sax player can dance, so can you. Pauline closed by saying “This is what a two tone band sounds like!” I’d go a step further and say “this is what a ska band looks like and plays like.” And I’m not talking about the suits. Below are photos and video I grabbed at the show. I’ll post more videos from the show if I find ’em. I really wanted to capture the energy of the show on video moreso than the music itself. UPDATE 9/25/13 11:26 PM: YouTube user athiestpeace69 has uploaded a ton of great videos from the night. Here’s my favorite. For those who are curious, I didn’t write down the set list (nor can I find it on setlist.fm), it was a really great blend of new and classic material. They played Too Much Pressure, On My Radio, and many of the tunes featured on their 1991 live album Out On the Streets: Live in London. Great review. I was there dead center right at the front. I’ve been to about 12 shows this year and this was by far the best show i went to all summer. I do hope they come again even with the sparse crowd. I think the packed Pet Shop Boys show at the HOB took most of the college crowd away from this one. I didn’t care. More room for me to bop and dance. Thanks for commenting, Joe! Glad you enjoyed the show.